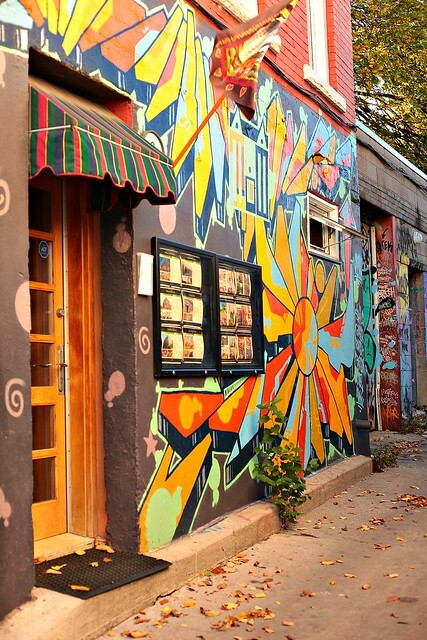 Kensington Market is located in the heart of Toronto. 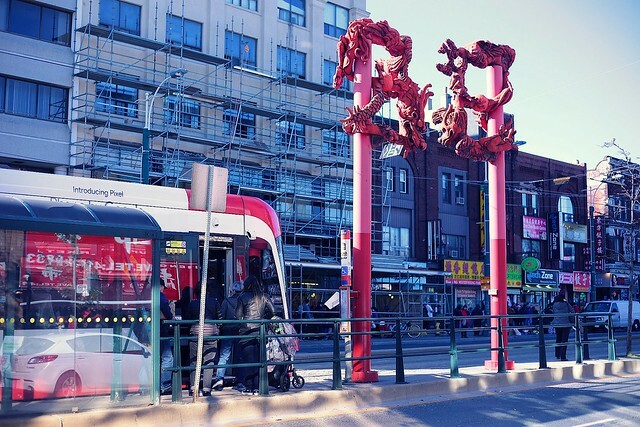 It is the most vibrant and diverse neighborhood in the area. 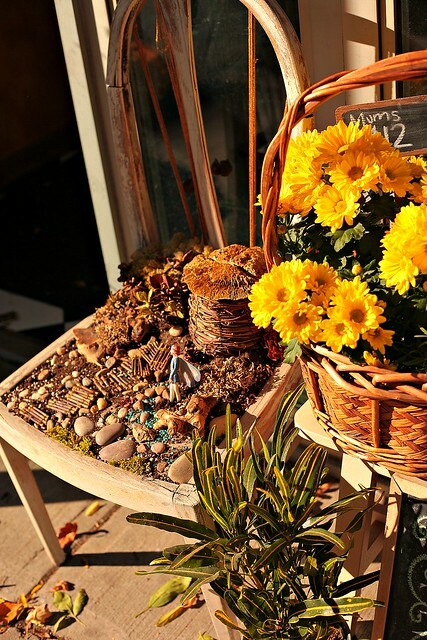 There is so much to do and explore like quirky shops, organic grocery stores, restaurants & bars, art galleries and coffee shops. Ask one hundred people what is great about the Market, and you will get more than a hundred answers. Walking out of China town, and take a turn in one of the streets to find yourself in a neighborhood where cultural diversity is a day to day reality: Rasta people, latinos, asian, alternatives, new wave youth, shoppers ... you name it! The Market can be a real treat for foodies. There are some good cheese shops, butchers, and ethnic food stores, some of which have food stalls inside where you can grab an inexpensive snack. There are also some cafes and full-service restaurants scattered through the market, including a couple of vegetarian/vegan places. The houses, the shops and everything around seem to have a history to tell, a soul. 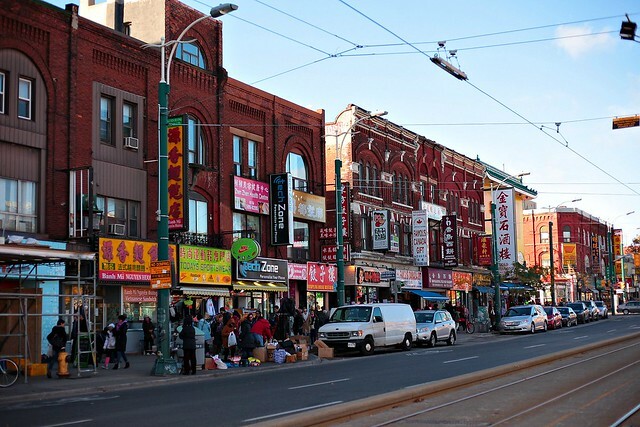 The Market is an older neighborhood and one of the city's most well-known. In November 2006, it was designated a National Historic Site of Canada. Sundays are pedestrian only, hence, no cars are allowed in the streets. You can find bands playing different kinds of music: sitar, funky bands, reggae, punk along the side walk. 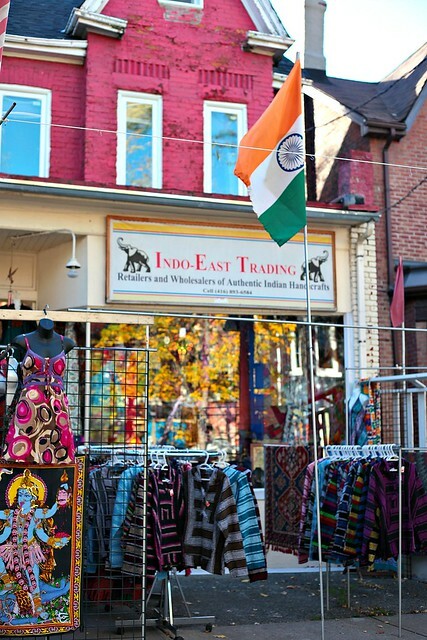 Kensington Market is a community in it's own. When you are visiting and have an afternoon to spare, you must visit it. You won't be disappointed! I've been there! Went shopping with my friends Suzanne and Patti. Even blogged about it with pictures. Love the vibe and bright colors. 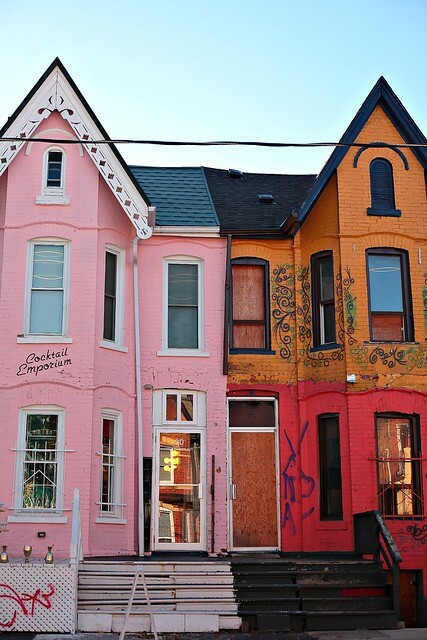 You were not kidding about it being the most colourful neighbourhood, its clear to see from your pictures! I simply looks gorgeous and like such a fun place to explore. I've never been to Canada (I'd like to!) If I ever get the chance I will stop here, it looks like such a cultural gem! Sounds like such a fun trip. Canada is definitely on my travel bucket list! What a fun place to check out! I think Toronto is a fantastic city and I hope I will have the chance to visit it again sometimes soon. 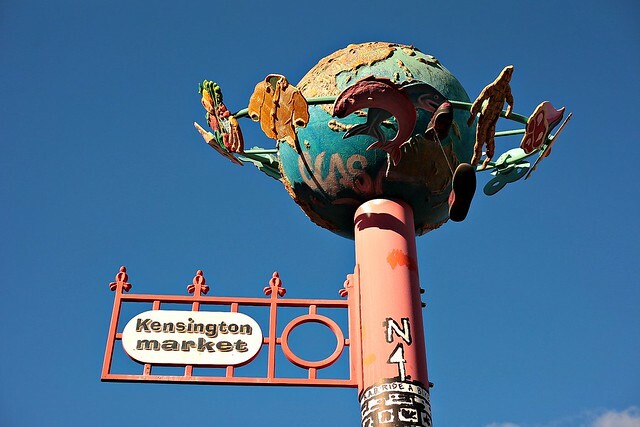 The Kensigton market sounds like the place I would love to visit, as I missed it the last time I was there. It looks so colorful! I always wanted to go Canada just for the experience. One day I will go without making excuses. Definitely a different side of Toronto -- I haven't been there since I was a kid. The graffiti art reminds me of Melbourne. This is one of my FAVORITE spots in TORONTO! The food is epic! My husband and I really enjoyed Toronto when we visited several years ago. I love that it is pedestrian only on Sundays. I am such a market person! I am a true foodie and I always love the treat they have got to offer at the markets! Hope that I will be in Toronto soon! Canada is on my list, I want to do the CN tower edge walk, so badly. You seem to always find the most colorful spots for your photos. 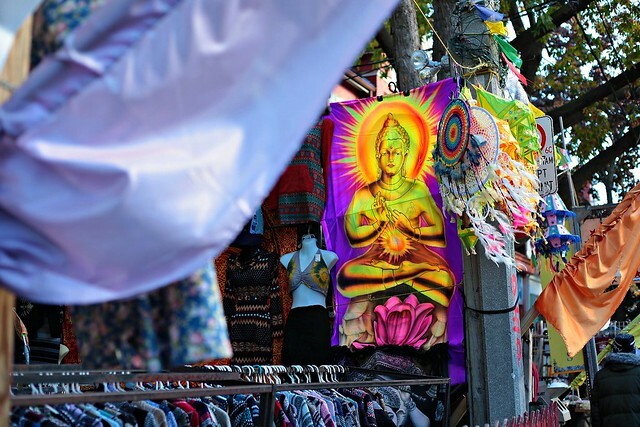 There are so many fun and vibrant colors in this neighborhood! 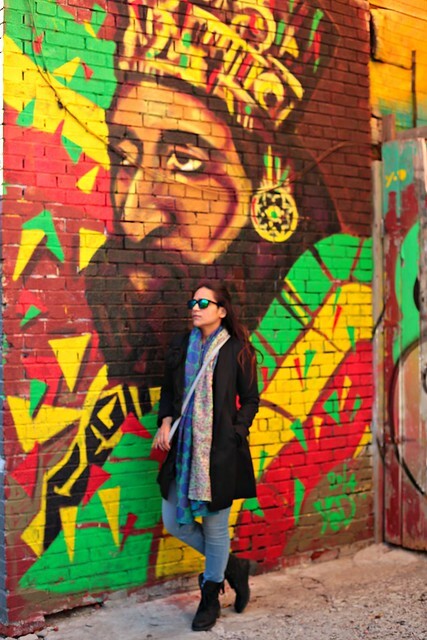 I love street art and bright walls, so I know I would feel right at home! Toronto is totally on my list! Your picture make me want to go so bad! This sounds so cool! It looks so vibrant. I love your photos. There’s so much to explore. BTW, I love your video thumbnail. We almost moved to Toronto but found our way to Munich instead. These neighborhoods you're showcasing look so amazing, though! 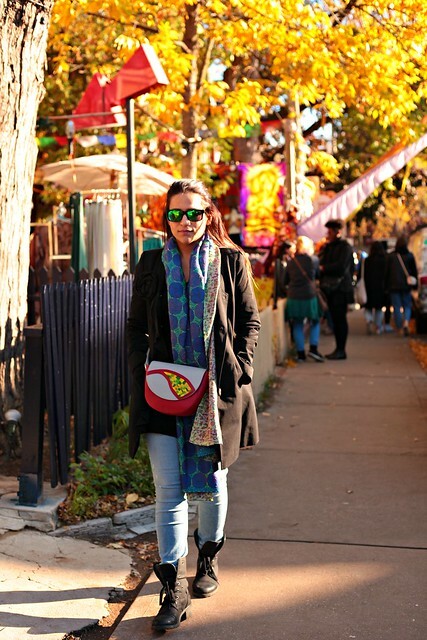 I would have loved to spend some days in Kensington Market! My best friend lives in Canada and she has never told me about this place!! Love all of the shots... it looks like such a cool area!! Beautiful! Would love to visit! Wow. That is very colorful. I love the beautiful street art! Definitely saving this. I've always wanted to visit Toronto! How fun are all your pictures! 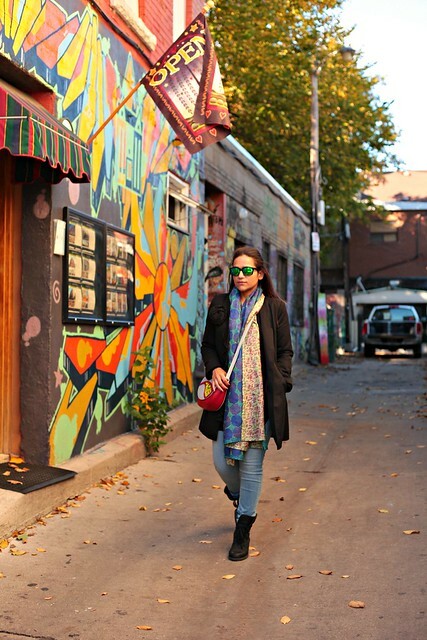 I love all the colors:) I got to visit Toronto for a short period of time and it was soooo much! Wow, this is amazing. So fun and colorful. I love Toronto. I haven't been since I was a teenager, but I loved it both times I went. I think it's about time to go back. That is totally an awesome place to visit. I've been there last year and I really enjoy the colorful surroundings of this place. Your photos make me wanted to revisit this place soon. and I am looking forward on that. By the way, you look great in your outfit. Wow you weren't kidding when you said this area was colorful! It reminds me of Italy or South America in a way. What a fun place! 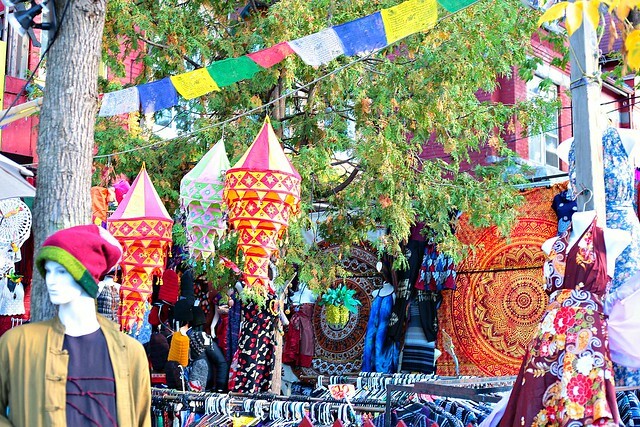 Kensington Market is so full of colors, a great way to showcase the diversity in Canada. You look so pretty, love your outfit and the pictures are beautiful as always. I agree to your statement that the houses, the shops and everything around us seem to have a history to tell. When I have a time to reflect to life, I sit to a comfortable and peaceful place, for example in a unpopulated park, look around and feel the vibes around me. That is so refreshing. You have such a nice trip by the way. I like the photos! So colorful! When you said colorful, I wasn't thinking literally colorful :) It looks so beautiful and full of so much culture! What a cool and colorful city! Oh Tanvi, this place looks incredible! So colourful, and looks like a really welcoming place to be. I love the unique feel to the area and the fact that around every corner are different delights to explore. 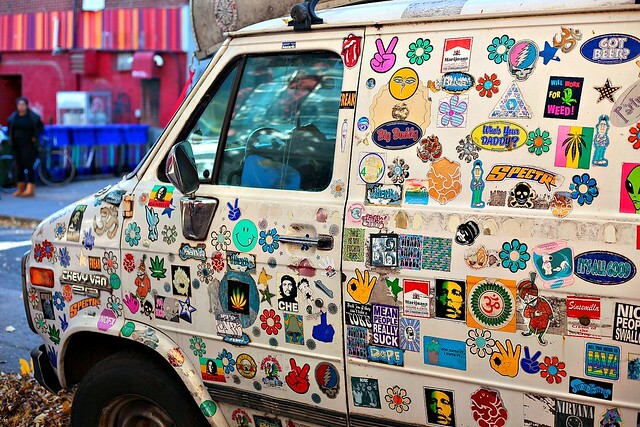 I'd love to visit Toronto and Kensington Market one day. What a colorful, interesting, unique and diverse place. I would love to visit the market. I bet there are some wonderful people to meet?